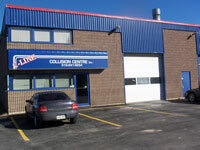 ACG Orangeville has been serving the Orangeville community since 1995. This 5,000 square foot facility is the exclusive body shop for over 4 new car dealerships in the area and is a preferred shop for many insurance companies. Monday – Friday – 7:00 A.M. to 6:00 P.M.